I’ll be honest up front – Robert Capa has always been one of my photography heroes, a fascinating character who reinvented himself several times in his early life as he was forced to flee from one country to another, until he crafted the person of “Robert Capa”, which he thought sounded a bit more American and would help him make contacts for his work as a pioneering photo journalist (this at a time when photo-heavy magazines were just becoming common, a rich source of images for many in the days before television reporting). Despite being only a little over forty when he was killed covering the early stages of the Indochina war (which would later snowball in the murderous morass of the Vietnam War) in the mid 1950s, he was by then one of the most famous photo journalists in the world. Even before the Second World War he had been dodging bullets, armed with a camera rather than a gun, recording the Sino-Japanese war and the Spanish Civil War (where he became firm friends with Ernest Hemingway, but would also lose his partner Gerda Taro). 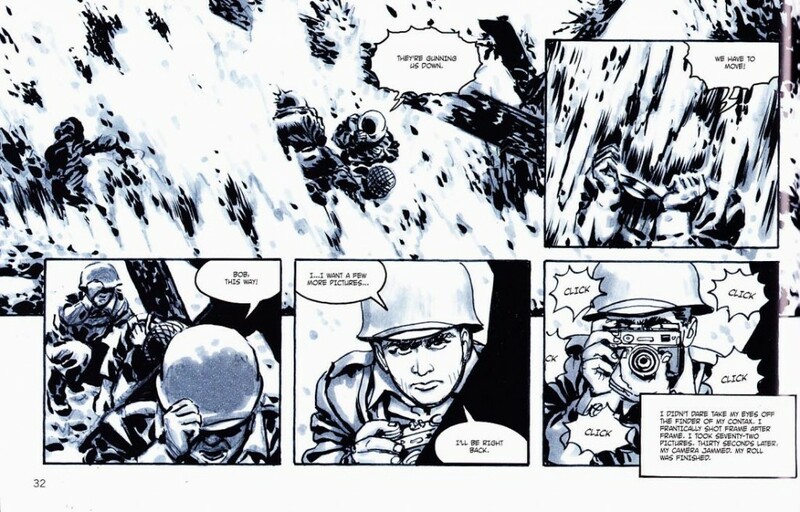 During this period he took one of the most famous images of combat ever seen, the “falling soldier”. 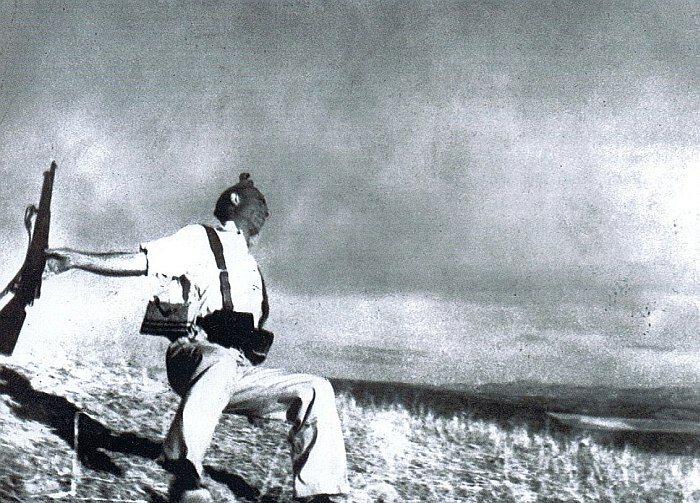 Iconic though the Falling Soldier image has become though, Capa’s “finest hour” was still in the future, on a grey, cold morning on the coast of France. The 6th of June 1944: D-Day, the greatest armada in the history of the world set sail from Fortress Britain. The Allies are about to attempt the impossible, to land a vast force of men and equipment in the face of an entrenched, determined, fortified enemy. Gold, Juno, Sword, Utah and Omaha: the invasion beaches divided between the British, Canadian and American forces. Many brave men would fall on this morning amid explosions and machine-gun fire or simply drowned before they could even touch boot to the soil of Occupied France. Intricately planned and arranged as it was, it was still a massive throw of the dice on which the fate of the free world would depend, and Capa, an inveterate gambler himself, couldn’t resist that. He managed to get himself assigned to the American troopships, destination Omaha Beach. Bloody Omaha, as it became known, the worst of all the D-Day landing beaches (half the entire casualties from the first day for all five beaches came from Omaha alone, it was that bad, thousands fell), and plans going wrong as men desperately improvised a way through the Nazi defences as their friends went down around them. 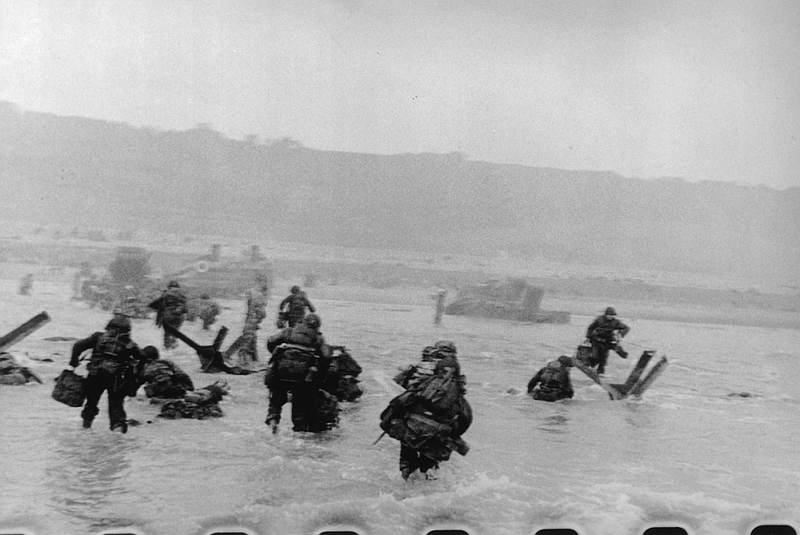 And Capa was there, camera in hand, in the very first wave, wading ashore as bullets ripped beach and men alike, soaking, cold, terrified, seeing American soldiers falling all around him, storming onto the beaches with the very first troops (from the famous Big Red One division). And he shoots his camera. Again and again he snaps picture after picture: one of the most pivotal moments in the history of the twentieth century is happening and Capa is right there, recording it, bearing witness as bullets bounce around him. He shoots four rolls before he makes for a landing craft carrying wounded back to the waiting ships, and even then the horror doesn’t end – there’s guilt at being able to leave, unlike the soldiers (I’m a coward he tells one injured GI, no, you volunteered to do this, you’re no coward the man tells him), the sight of the dead and wounded… The rolls of film make it to the Time-Life offices in London, but in an absolute disaster the rush to develop them leads to an accident. Three rolls are mangled, unusable. After all Capa went through, those images are gone. But that final roll? The developers pull ten images from that. 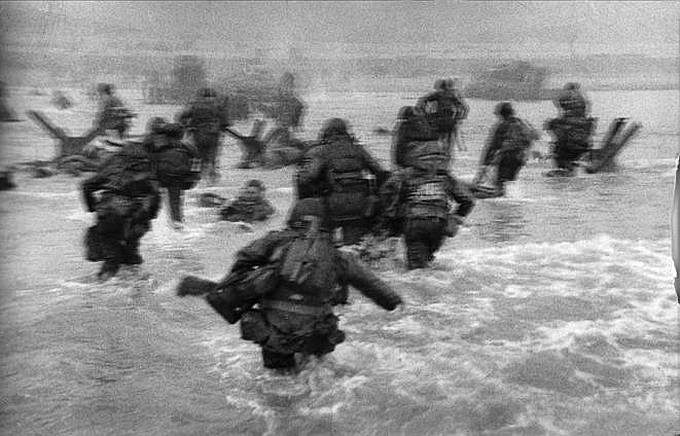 Amazing images, our eye on the Longest Day, history recorded in grainy black and white, with hand-shake from movement and from terror (Capa used to joke that a combat photo should always have a little blur or shake in it), but filled with the enormous power of the image, reproduced endlessly, tiny moments of major history frozen forever by the camera. 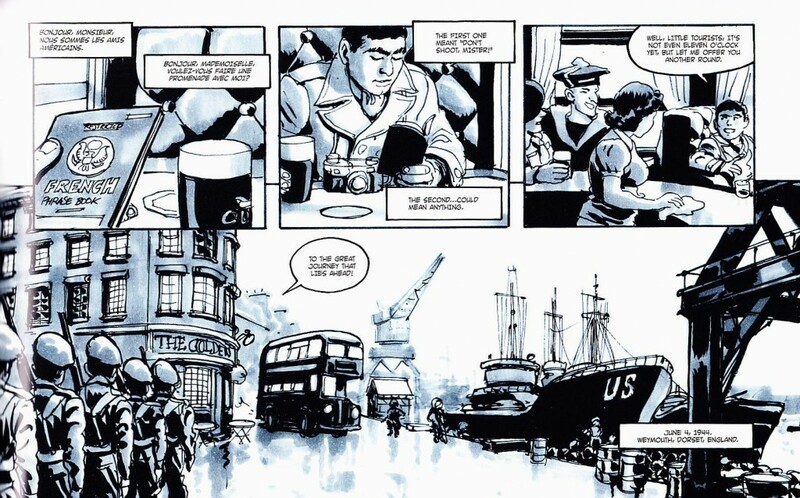 The artwork is in a nice, clear line style for the segments before and after the events of D-Day: Capa preparing for the big push, a last moment party with friends and lovers in war-torn London (including Hemmingway – his girlfriend mistakes the writer for Capa’s dad when he calls him “Papa” until she is told it is Hemmingway’s nickname). And the landscape format allows for some good use of wider images – smaller, traditional frames for intimate moments of friends talking, then bigger images filling the whole landscape page, like a movie camera pulling back in a reverse zoom to show scenes like the busy harbour as the invasion forces prepare to leave Britain for their destiny, or in some cases those large, landscape-filling scenes continue onto the next page with a few regular frames over the top, again very filmic, like cuts between internal scenes between characters and wide-screen shots of the exterior around them. This also effectively suggests both the individual nature of the people involved but also how they are part of one, massive group effort about to do something truly Herculean. 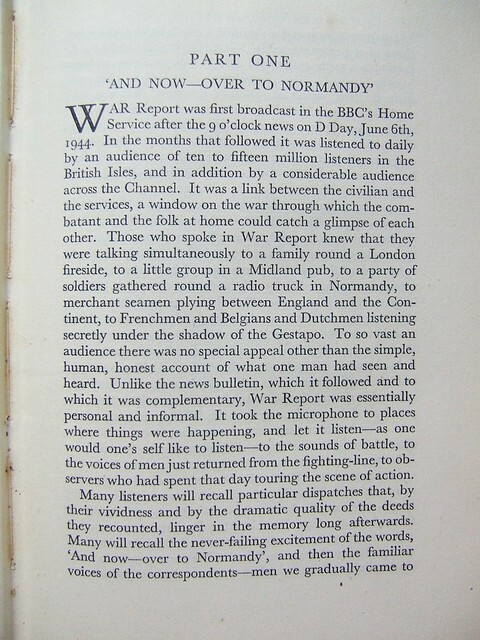 And then there are the pages dealing with D-Day itself, which are, quite frankly, staggering. Much of the art here takes on dark, sombre, grey tones to match the dismal weather (too dark for good photos, quips Capa, preparing to wade ashore), and washes of monochromatic watercolour effects render much of this far muddier than the preceding clear line work, quite deliberately so, I think, an attempt to imitate the “blur” and “shake” of Capa’s photographs, shot while running, ducking from fire, shaking with fear and adrenalin and horror (decades on Spielberg would use these as his inspiration for the shockingly powerful opening to Saving Private Ryan). Several scenes draw directly on those legendary ten photographs, while others, when you pause and take them in more closely, reveal themselves to be those same scenes from the opposite perspective, such as the famous “man in the surf”, a GI crawling forward through the waves, seen as he is in the photo but also seen from a perspective behind him, looking to the hell of the beach, and amid the chaos, on one side, Capa, kneeling behind an anti-tank barrier for cover, camera held up, shooting the scene. 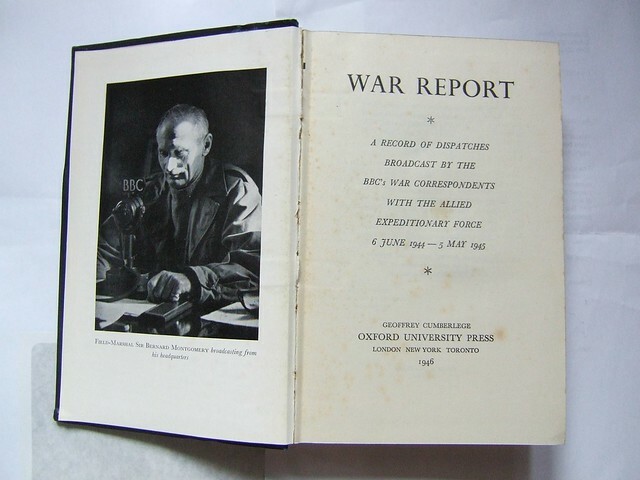 The second half of the book detailing his life and work is richly illustrated with his photographs from the war. 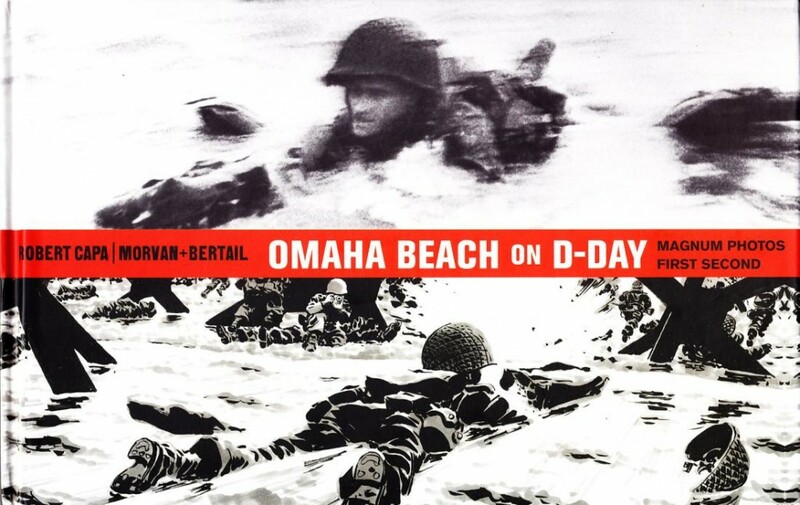 Of course those iconic ten D-Day images are there, and it is fascinating to flip back and forth between the comic images and the actual photographs of that event. But there are many other images, still radiating power across the decades; bodies of the fallen on the beaches, burned out tanks and landing craft behind them, images of oh-so-young lads boarding ships in Weymouth harbour for the invasion, a young German soldier being taken prisoner, uniform and hat askew, piercing eyes and blonde hair, he would normally be a handsome young man, but here he looks like a young boy who has seen too much (which I suppose he was, really), the thousand yard stare of his face haunting, physically unharmed but clearly wounded somewhere deep inside. And there’s a detective story piecing together the true identity of the blurry “man in the surf”, the actual soldier, still alive, finally identified. Although really, while nice to know, it doesn’t really matter who the man in that D-Day image was, he stands for all of his brothers-in-arms, he’s symbolically all of them, the ones who fell and the ones who came home bearing scars physical and mental. I’d like to think both Capa and those who served would see those images not just as individuals but as standing for all who did what they had to do on that long, long day. Capa was a pioneer in believing that a few still images could tell a moving story, and to me it seems highly appropriate that a medium that does just that, the comics medium, should tackle this moment in his life. As with his photographs the comics medium allows us to perceive both a frozen moment, to take in all the details at our own speed in a way real life of moving film cannot, and yet is part of a sequence, connected to other still images, creating a narrative in our minds. Even in our media-saturated modern culture where anyone can shoot video which ends up on global news, the power of a few static images, photographs or comics panels, can still be tremendously powerful and effective in a way nothing else can. The book uses some of his own lines from his autobiography Slightly Out of Focus, and is also framed by the device of having Capa relating the story to a journalist over the phone. The journalist is talking to him for an article to celebrate the tenth anniversary of the D-Day landings. 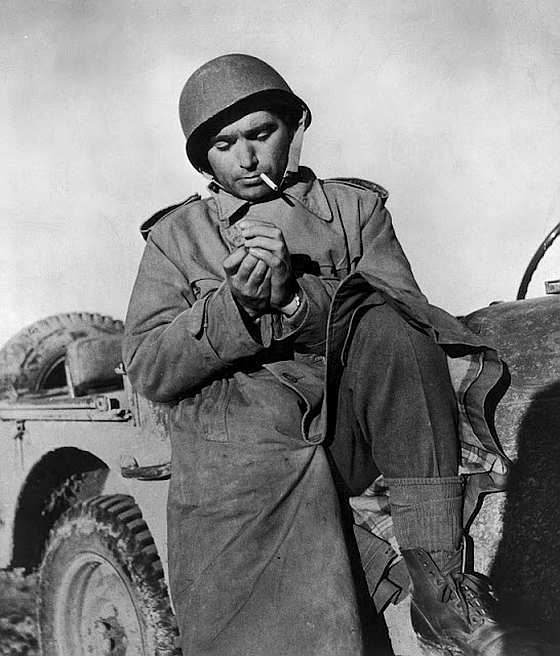 Capa was killed by a landmine while covering the Indochina war in May 1954, as former French colonies asserted themselves after the Second World War and made their bid for independence (in what would escalate later to the quagmire of the Vietnam War). It was just a couple of weeks before that tenth anniversary, a date he wouldn’t live to see – he was only forty year old. A camera was found in his hand; he recorded the world right to the last moments of his life. Seventy one years ago today, on the beaches of Normandy, ordinary, everyday blokes from Britain, America, Canada, France, Norway, Poland and more walked into legend. Not some semi mythic great heroes like Achilles, these were regular men, bakers, plumbers, butchers, bank clerks, called on to do something extraordinary, while behind the lines who knows how many Resistance fighters fell, vanished in the dark, shot down during vital sabotage missions to help the landings, or worse, taken alive to face certain torture and only then death. 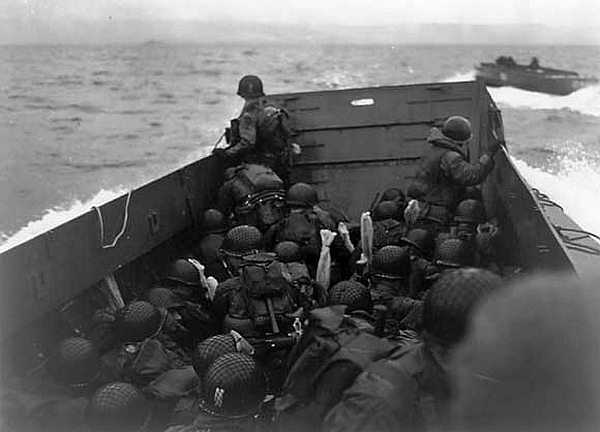 Ever since I first read about it as a wee boy I’ve never been able to quite grasp the sheer bravery and desperation and terror of that day – impossible for us to really imagine what it was like to be in a small landing craft, rolling in the waves, men throwing up, seasick and also terrified at what was to come, shells and bullets exploding, the metallic clank as they hit the sides of the ship. Then the thump as the craft hits the sands, the large, flat bow door falls down, exposing the men within to withering fire from concrete gun emplacements, and they still run forward, into that fire, some of them never even making it out of the water, more would make it, some marching into battle under the sound of the bagpipes, like something you’d make up for a film or book, but it actually happened. We remember the big events like D-Day, the unbelievable heroism and acts of valour that were committed for the benefit of every generation that came after, and so we should. But we should always, always remember those events were made up of individuals, every one of them with hopes, dreams, fears and every one with someone back home in Berlin or Glasgow or Chicago or Toronto who lived in constant fear and hope for them. Some of them given the relief of a loved one returning home finally, when it was over, others that awful, awful telegram, “I regret to inform you…”. And the men and women who did come home, always marked by it, never the same, always bearing guilt because they got to come home, to marry, to have kids, to live, to grow old, and their friends never did. And they know their mates would want them to live that life, but still they’ll feel that guilt till the end of their days. And these ordinary people doing extraordinary things are what shaped our world, preserved our freedoms, so many individual people each doing their bit to create something enormous and world-changing. There are fewer now, each year, time slowly finishing what the war didn’t and claiming them, but those women and men who remain will be thinking on those friends who never came back today. 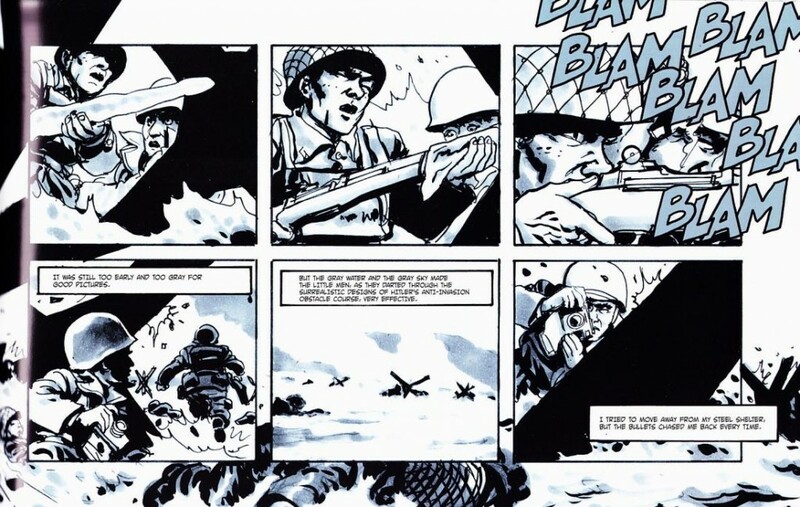 Today is June the 6th; to a boy who had seemingly endless amounts of Warlord, Victor, Action and Commando war adventure comics to read growing up it’s a historic date drummed into the memory: D-Day. Despite what criticisms a modern reader could heap on those old comics they did impart a fair chunk of familiarity with major events so that when you came to them in history lessons in school you realised you already knew some of it. D-Day for me has always remained in my mind since first reading about it as a lad, an unbelievable effort by thousands by land, sea and air on a daring but desperate attempt to breach Fortress Europe and drive the vile evil of the Nazis back to their own bombed out ruins of their homeland. It’s passed almost into myth now, decades on, the vast armada of Allied ships appearing off the coast of France in the morning mist, like the fabled thousand ships of Homer’s Odyssey arriving on the shores of Troy. A lot of mostly young lads wouldn’t last through that day. Of course as I got older I learned more about that history and found out that well before the thousands of British, Canadian and American troops stormed the shores of Nazi occupied France that day many other very brave men had risked – sometimes lost – their lives to make it possible. 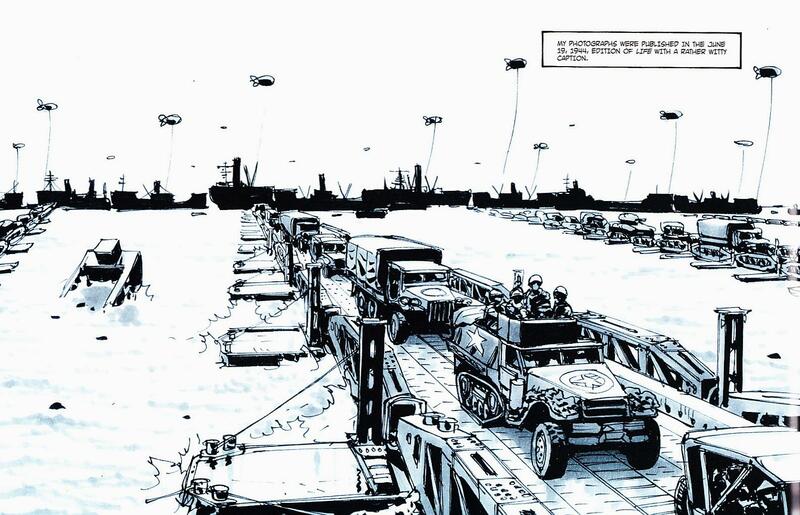 Not just the veterans of the Dieppe raid, but smaller, quieter missions, often carried out in secret, in the dark of night – French Resistance members risking capture and torture before death on missions to disrupt German lines or supply information to D-day planners, Commando or SIS members sneaking ashore to take samples of a beach to see if it could support a landing, masses of men, tanks… More than a few would vanish into the dark night and never be seen again, dying somewhere alone, unknown, to try and make that day possible, while others orchestrated astonishing projects of disinformation, stage magicians designing the greatest illusions of their lives, entire fake regiments of tanks and men made of mannequins and inflatables to fool the German aircraft into the Allied intentions. The sheer effort that went into planning the entire thing even before the actual landing is Herculean and it is astonishing to look back at a time when everyone just simply got on with ‘doing their bit’ for the greater good in a way that seems amazing to today’s far more selfish me-me-me society. 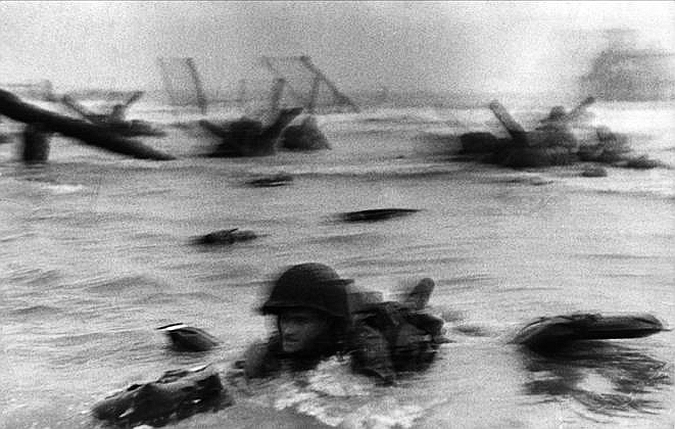 And through it all these amazing photographs by one of my great photography heroes, Robert Capa, running ashore at bloody Omaha with the troops, terrified, fingers fumbling to reload his film… He shot several roles, escaped the beach and returned to London only for the developer to rush the film and ruin most of them – only a handful of shots, blurred, survived, first hand images from the beaches of D-Day, the day the Allies started to change history and roll back the Nazi menace with a mixture of cunning intelligence use, amazing engineering projects and sheer, naked courage (think of the Scottish regiments marching ashore under fire defiantly playing the bagpipes, like something from a movie scene and yet it really happened) and quite enormous cost. A cost paid for us, for the right to live in a free, democratic society. It should always be remembered. The 6th of June; on this day in 1944 thousands of ordinary men did something extraordinary and stormed the enemy beaches in a landing now as legendary as the thousand ships of the Greeks beaching at Troy; the bad guys were finally going to be pushed back inch by bloody inch. Before they made that monumental charge how many others had been there secretly before them? How many agents, resistance fighters and Commandos died silently in the dark scouting those beaches to get the information needed to make D-Day work? I wonder where my old childhood hero wee George was that day with his Commando mates and again I wish I had known him as an adult and had the chance to record some of his memories. Gold, Juno, Sword, Omaha and Utah; a huge endeavour and an enormous gamble, even with the massive naval and air superiority the Allies had built up, but it worked. I remember seeing a photograph years ago in a history book – I think it was some airborne troops preparing to get into the wooden Horsa gliders; someone had chalked on the side “the Channel stopped you, but not us.” I do wonder, as time passes, in the distant future will people think that this enormous armada and legions of brave souls are just a poetic exaggeration like the Iliad? What a price was paid for our freedoms. Scotland’s First Minister, Jack ‘Furtive’ McConnell has now announced a U-turn over his incredibly foolish decision not to accept an invite as leader of the Scottish government to the D-Day celebrations. Why would any statesman turn down such an invite? Well, he had already accepted an earlier invite to the anniversary of the Saint Andrew’s Royal and Ancient Golf Club. Yep, he considered a bunch of upper class twats talking about golf and wearing clothes like 1970s New York pimps to be more important then honouring the veterans of D-Day. Despite the fact that Scotland, traditionally the backbone of the British Army, suffered disproportianetly in terms of casualties he didn’t anticipate the storm of protest he caused amongst veterans and ordinary Scots. How amazingly stupid can this man be?